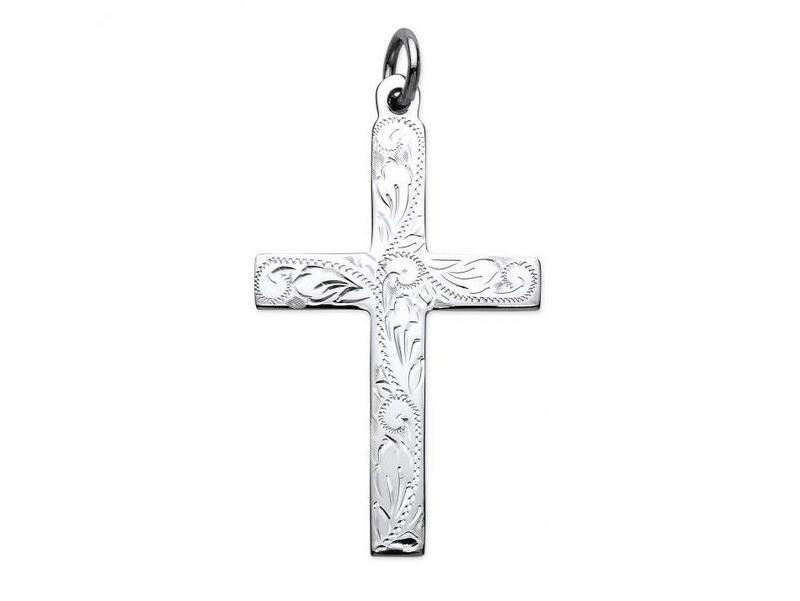 Diamond cut fully engraved front (plain reverse) flat cross pendant, crafted in 925 hallmarked sterling silver. Pendant size 4.5cm x 3.0cm (excluding bale). 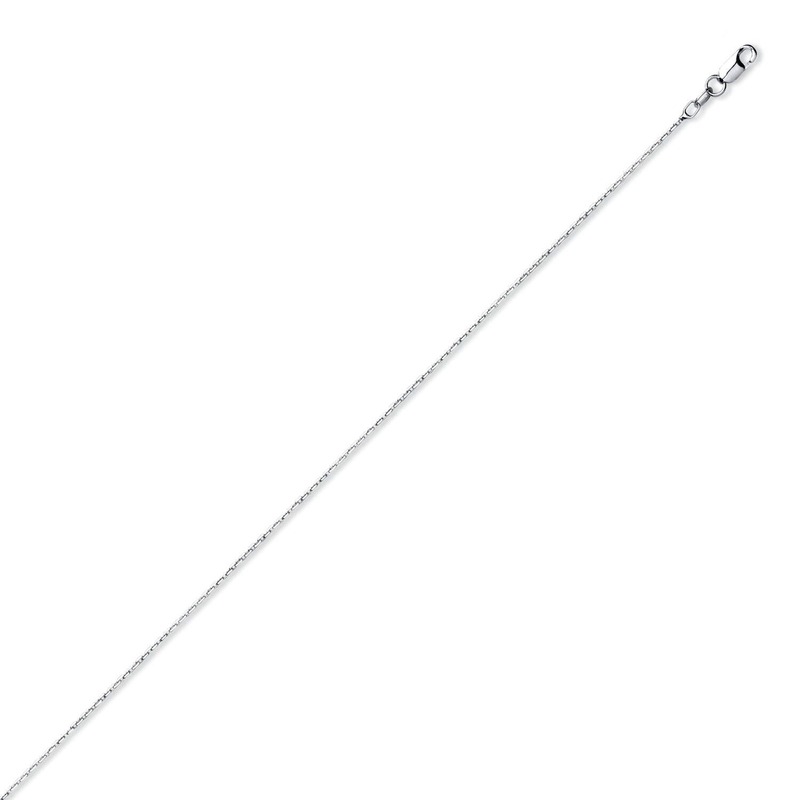 Choose with or without a 16", 18" or 20" curb chain in rhodium plated sterling silver with lobster clasp..